Considering waffles and chocolate are Belgian national snacks, it was no surprise to hear that people here in Brussels drink a considerable amount of coffee and that they appreciate it, too. Since I’ve always had a curiosity about the cities I live in, I used my time in Brussels to acquaint myself with the interesting neighborhoods and promising places, citysploring and café hopping all at the same time. I walked for hours and hours and found refuge in great coffee locales where owners take pride in serving speciality coffee. From what I could tell, most people opted for espresso and less of the frothy milky brews; I was also pleasantly surprised to see that most places served coffee with a fine chocolate treat or a speculoos cookie on the side. Score. My love for coffee shop dwelling started long before my caffeine addiction ever did. Back in Texas, I would clear my head and get inspiration by sitting around at local cafés, taking in the cosy vibe and escaping into my writing world for a few (too many) hours. 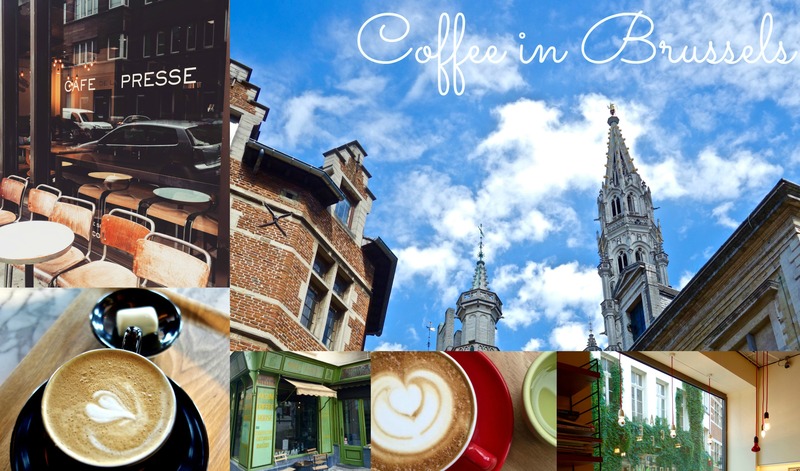 When we moved to Brussels, I made it my business to discover the best coffee shops in town because let’s be honest – I needed to get my caffeine fix, but I also wanted to people watch and job hunt. What better place to do that? 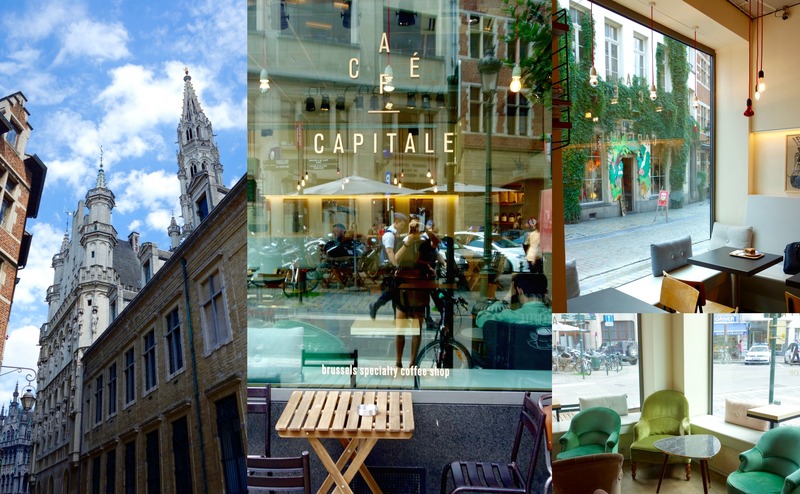 Here are my favorite picks in and around Brussels for great coffee in a cosy working environment. 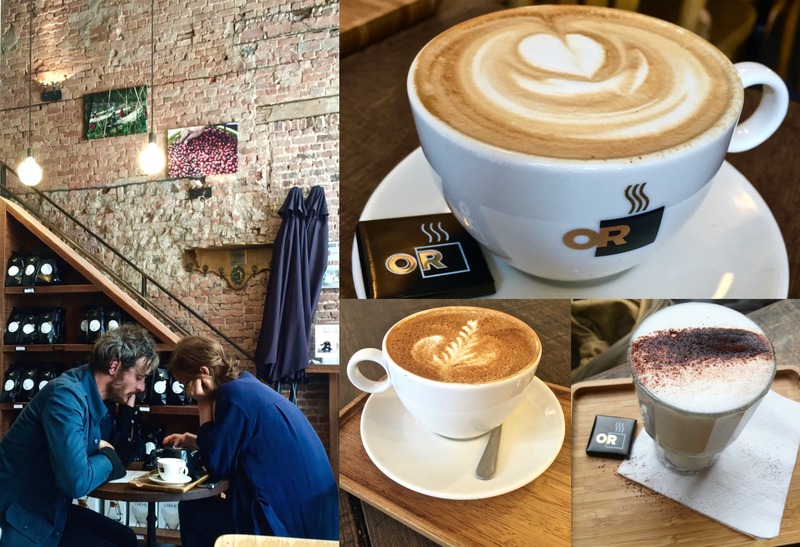 The specialty coffee scene is obviously alive and well in the heart of the EU! This was my favorite spot in Brussels for a few reasons: It was walking distance from our apartment with a view of the beautiful Place de la Bourse, and as well as being conveniently in the city’s touristic heart, it has a productive working environment and doesn’t feel overly touristic. 70% of their beans come directly from farmers in countries like Ethiopia, Rwanda and Burundi. Curious about what they do? Take a trip with the team to the origin plantation. Lucky for me, they also have a shop in Ghent with restaurants serving their coffee as well. Tucked into a calm corner of Place Rouppe, the recently opened Kaffabar is beautifully designed with a stylish, modern flair, yet remains cosy and inviting and never overcrowded. All the details come together perfectly and I found myself coming here again and again for the natural light, spacious seating and quality coffee. Healthy options, pastries and delicious brunch are pluses. Also, Marcel (the owner’s dog) can be seen relaxing most days in the corner as a proud cuddly mascot. Did you know the word coffee is derived from the name of the Kaffa region in Western Ethiopia? 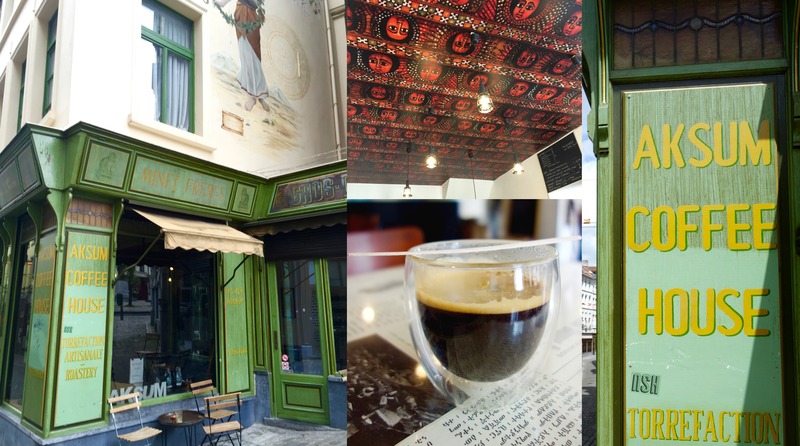 Tucked behind the hilly streets of The Grand Place, Aksum is easily in the top five for quality coffee in Brussels. It’s a small cosy shop with vintage accents and real Ethiopian character. The best part? All of their coffee is organically grown and single origin – 100% Arabica. Also, they offer Senegalese herbal teas, baobab drinks, soft drinks from Côte d’Ivoire, South African wine and Ethiopian beer for something different. Their cake offering, although small, is also really delicious. WiFi only works for 30 minutes with a code. 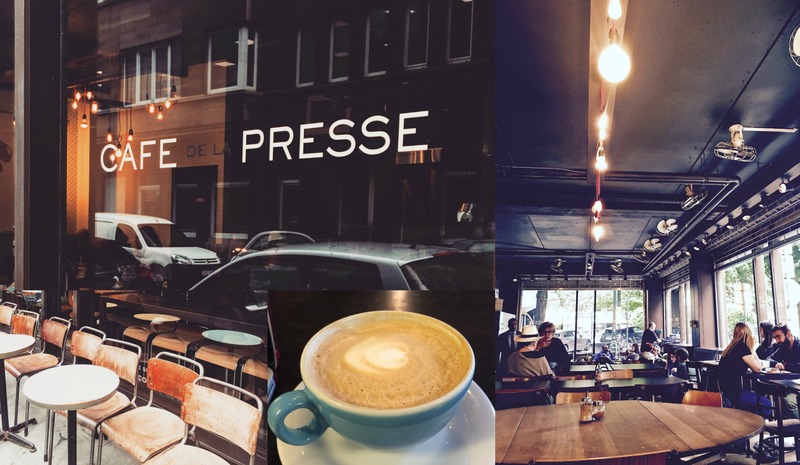 Some coffee shops in Brussels are perfect for a quick pick-me-up in a small quaint space; JAT is not that kind of place. As one of the largest cafés I’ve yet to find in the city, it’s inviting in both size and comfort offering great drinks and hearty food options any time of day. It’s probably my favorite place to work and people watch during lunch because I know if I get hungry there’s great healthy options to snack on. The lunch hour rush is real, so get a seat before 12:30 if you can manage. 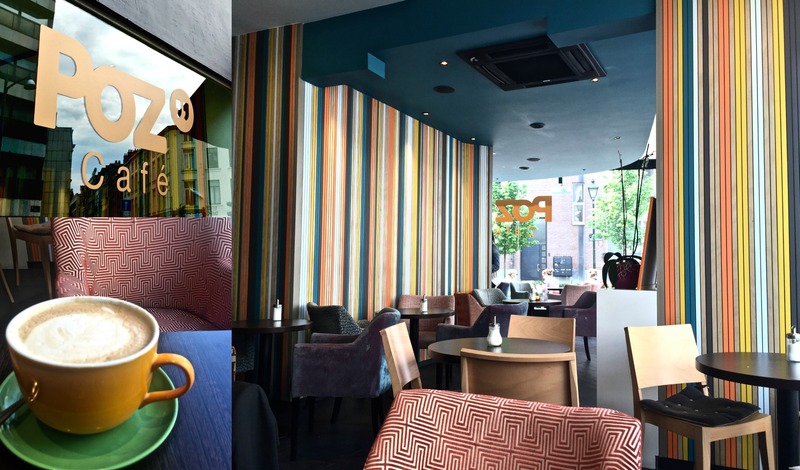 Brunch is also seriously popular here – try their fresh fruit juices and bagels! 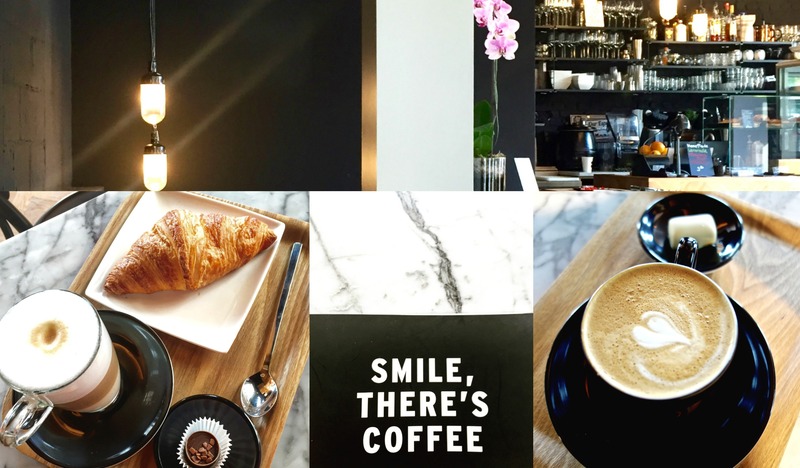 It’s easy to miss this café if you’re not looking for it, and maybe that’s a good thing! Although situated in the busiest part of the city, it has a low-key facade and the street tucked behind it is charmingly quaint. Once you step inside, it’s a relaxing oasis with vinyl records playing, homemade pastries, and high quality coffee ready to welcome you. Café Capital has an established reputation as one of Belgium’s leading roasteries and coffee bars and offers classes such as barista training, home brew and cupping approach. 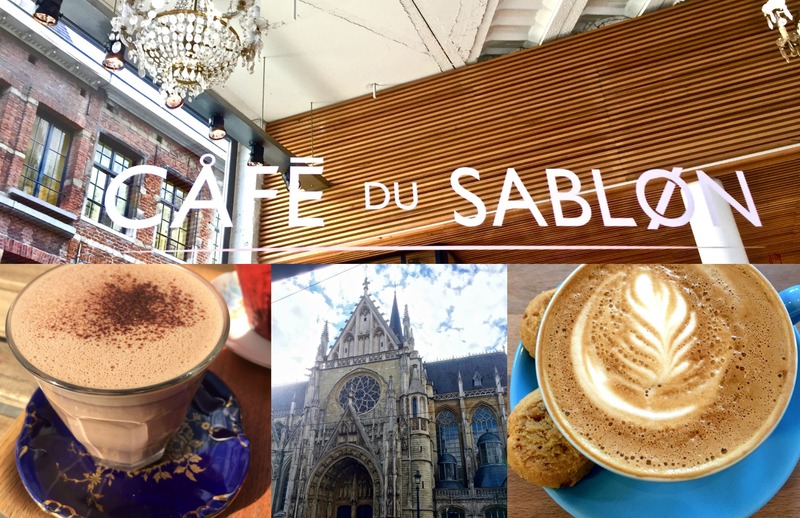 Set in front of the stunning Notre-Dame du Sablon cathedral, this is no doubt this is the prettiest coffee shop I’ve ever been to in one of the nicest neighborhoods in Brussels. 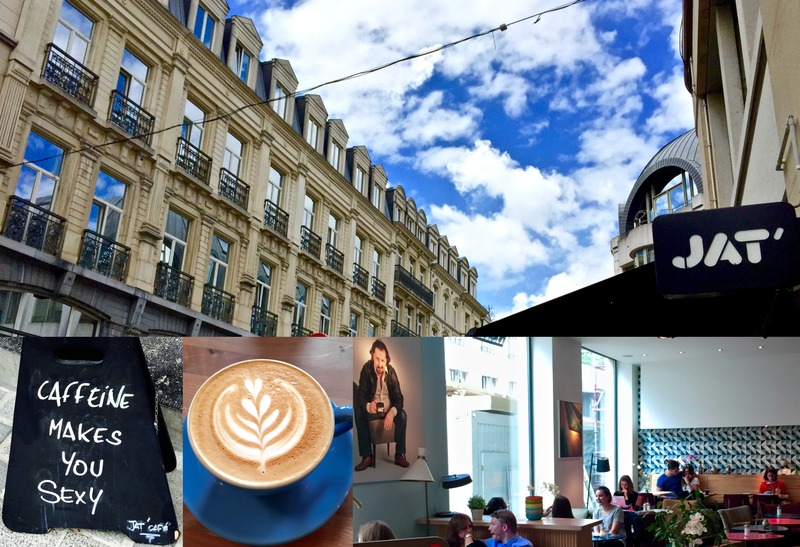 I came here the most out of any of the cafés on this list because it had everything I love in a coffee shop: plenty of natural light, a nice vintage touch, delicious desserts and solid coffee. It tends to get crowded for lunch, so come early or after the rush hour. Owner François Lafontaine, behind my other favorite Cafe du Sablon, opened this trendy spot at the end of Avenue Louise in 2011. Here cappuccino is king, but the coffee offerings are impressively extensive. This was one of my favorite working cafés – the ambiance lends itself to working and relaxing for hours. PoZ is a unique find in Brussels. It’s a comfortable, neighborhood espresso bar offering really (strong) Italian coffee in a bright, happy spot. Food here is just as good as the coffee! Near the glamorous Avenue Louise, it’s a great place to stop and recharge after shopping and sightseeing in the picturesque neighborhood. 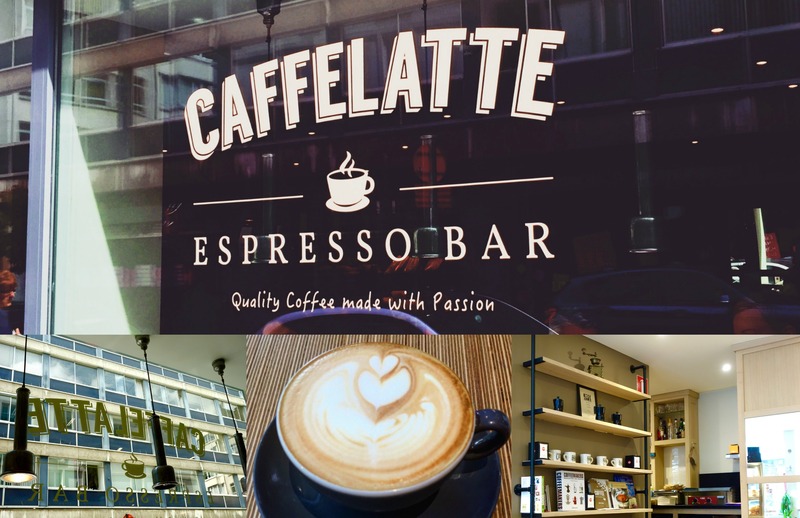 Come here if you’d like to try the most authentic Italian coffee in town and tasty piadinas (think Italian flatbread tacos) in the European quarter. Because this café is located near the EU institutions, there’s usually an interesting international crowd coming through and hanging out. I absolutely love coffee and trying out different coffee places when travelling so thank you for sharing! Will save this article for when I (eventually) get to Brussels.